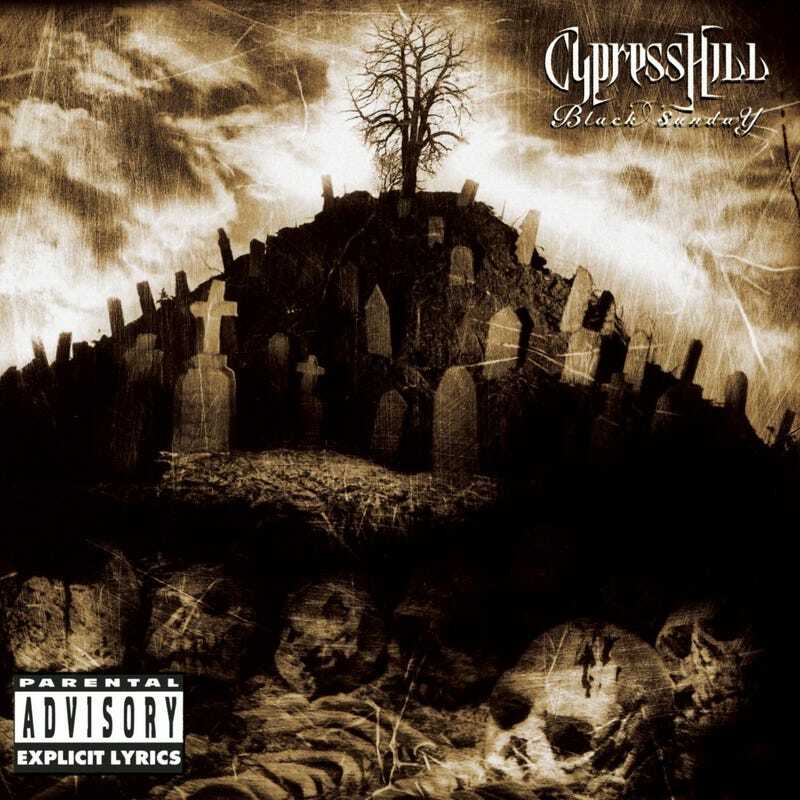 For the uninitiated, or for the willfully ignorant, Cypress Hill’s Black Sunday is a paean to smoking weed. This album is so much more than that. Released in 1993, the band’s sophomore effort is a lodestone which stands alongside NWA’s Straight Outta Compton as an inner city voice that the majority of America hadn’t heard before. The lyrics represented the life that the band members lived, the music was funky and filled with hooks, and the rapping is smooth. The laconic writing and delivery is important to a band who wants to use an economy of words in order to send a message. If you haven’t heard Black Sunday in a while, download it and give it another listen. “Insane in the Brain” was the first single. It’s catchy but not overwhelmingly so. The song hit #1 on the Billboard Rap Charts, and #19 on the Billboard Hot 100. “Insane in the Brain” was, for the majority of the country, an introduction to the band. Once people discovered the album, they were quick to put “Hits from the Bong” on a party mix. Dusty Springfield’s “Son of a Preacher Man” is sampled heavily on the track. I have argued that there aren’t many more songs in music history that are more straightforward in their message than “Hits from the Bong.” The song is beyond catchy and exceedingly easy to listen to. This article is comparatively short, however that’s because I think you should let the album speak for itself. If you find yourself just relaxing on a Friday or Saturday night, and you have the right ingredients to make yourself mellow, listen to Black Sunday. Download the entire album, grab some headphones, dim the lights, and just sink into your couch or easy chair while Cypress Hill leads you on a smooth and mellow journey. It’s been 25 years since this groundbreaking album’s release. It holds up today just as much as it did in 1993.